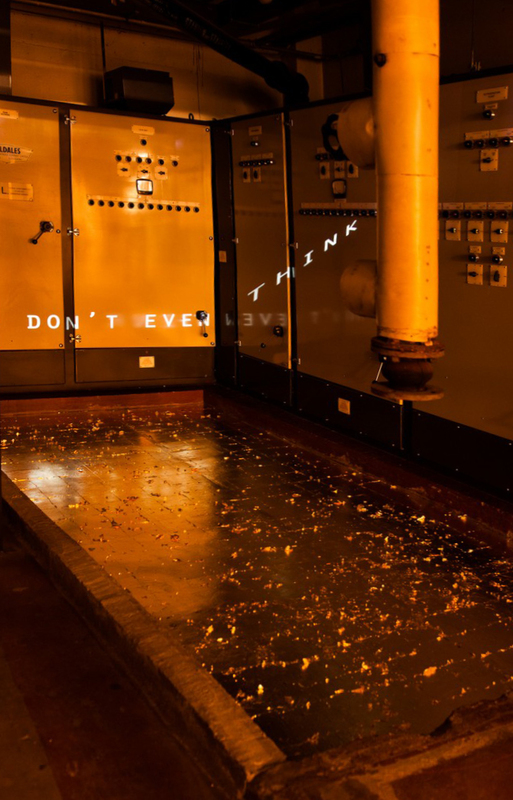 No Central Control is a site-specific installation made for the exhibition Heavy Sentience at Block 336, 2014. Responding to the discarded machine at the back of the gallery, which was once the cooling system for the first generation computers used by Coutts Bank who occupied the warehouse in the 1970s. The work considers the social contract of money working under similar conditions to a belief system, and the illusion of value being based in the material, such as coins or gold. The script is composed of extracts of conversations on Bitcoin between the artists Adam Joyce and Brett Scott with quotes form Brett Scotts Riches Beyond Belief article published by aeon magazine, August 2013. Adaptive Behavioral Project is the sister work to No Central control, also made for Heavy Sentience. Both works explore payment systems out side of the mainstream currency that work solely on social agreement that they have ‘value’ without centralised control.